The North West Paediatric Allergy Network collects live data using an web-based electronic database, which is only accessible within partner Hospital Trust Intranet services. We use the Form2, a web based electronic data collection and collation system. 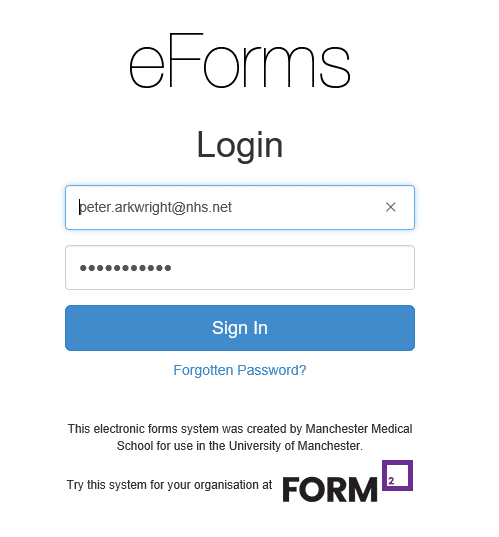 It was developed by one of our Network members, Professor Colin Lumsden, Professor of Medical Education at the Manchester Medical School, University of Manchester. The database is used to provide up to date information on workload throughout the region, as well as to develop clinical pathways and checklists which members can review in real time.